A photo recently did the rounds on the online screenwriting community. It depicted piles of screenplays stacked up to the ceiling, dumped in the corner of some bland Hollywood Studio office. These hundreds of movie scripts were waiting to be sent to script readers. The idea behind the meme was that there are loads of film scripts out there. So how do you make your script stand out in this veritable flood of screenplays? Many screenplays get purchased based, not on a perfect structure or brilliant dialogue (although that helps), but because of something more difficult to pin down: the passion and authenticity of the “screenwriter’s voice”. I’ve been a script reader for various competitions and for British Screen back in the day and I remember clearly what made a screenplay “leap out” at me. It’s something about the authenticity of the writing that shines through. Something on the page resonates with the reader. Great writers seem to effortlessly create fresh and authentic scenes, characters and scenarios. One of the things I hope to achieve with my book The Three Wells Of Screenwriting is to help screenwriters tell stories by accessingthese fresh ideas. I would love writers to tell the stories they were meant to tell. The stories only they can tell. And I hope that by doing so those stories can help make the world a better place. Writing authentically doesn’t only make the Hollywood studios stand up and notice the screenwriter. For the writer themselves, I find that writing authentically helps them grow as a writer, and more broadly as a human being. How do we go about consciously writing more authentically? There is a trick to this that we will now explore. 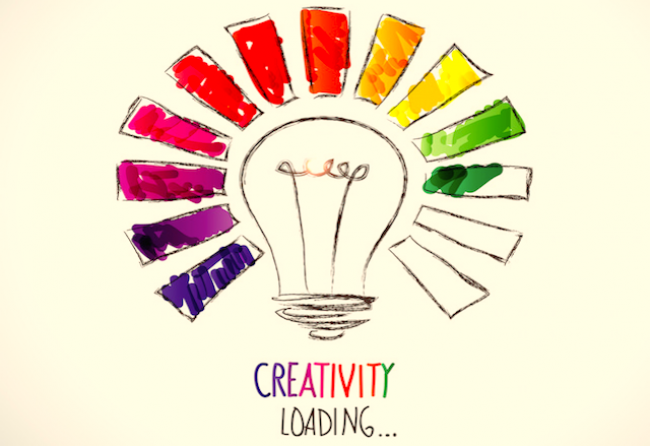 The first thing we have to do is to slow down the creative process itself and notice where our ideas are coming from. Right now I have a document open on my laptop. It’s a white rectangular space on my screen with a little flashing cursor. It’s waiting for me to have an idea and type a letter to form a word. Before computers, we scriptwriters faced another white rectangle: the sheet of paper in the typewriter. Before that, it was the blank page beneath the quill pen. And so on back through time. We face infinity each time we create. We stare at the blank page and we can write anything. We face countless choices regarding characters, dialogue, scenes, and actions. It’s exhilarating and sometimes daunting. These wells are universal. They apply to anyone, anywhere. Anybody trying to do something creative will tap into these wells whether they are conscious of it or not. The Imagination Well is when ideas seem to just “pop into” our head. It’s the lightning bolt from above that strikes after a moment of pause and putting the pen in your mouth and thinking for a second. The Memory Well is all of our direct life experiences. They are unique and authentic moments we, and only we, have experienced. This well is by far the most difficult to access for many people. Pretend that you have to write a funeral scene set in a cemetery. Quickly list the images and events that come into your head. Don’t think too hard about it. Don’t try to be original. Just do it. Stop reading this article and try it. It is best to really experience your brain accessing the different wells to understand this concept. I am guessing that you came up with images like granite headstones, trimmed grass, oak trees, statues, rain or umbrellas. There’s nothing wrong with these images but I’m sure you can see that they are images we’ve seen in other movies. Normally, when creating, this is the first well our minds go to. Pretend you have to write the same scene but now take a moment and access your imagination. Empty your mind of a second and then let your mind go wild and invent a cemetery scene. List any new images, ideas, or scenarios that come to you. That might have taken a second or three of pause before the ideas came. This well is like a geyser. Once you tap through the hard layer of rock the ideas come rushing out almost unstoppably. You may have imagined a funeral in space with astronauts floating around a metal coffin powered by jetpacks! Pretend you have to write the same scene. But this time take a moment and access your memories.Scan back through your life history. Think of the times when you may have been in a cemetery. If youhaven’t been in one, you might think of one you have seen while driving past. List images, moments, or impressions that remain powerful in your mind. Did you see that to access this well you had to really pause? You had to slow things down. You had to go deep. It takes more effort but I bet that you have come up with images and ideas that no one else in the world could. When I do this exercise I tap into a memory of cemetery in a desert. I see hard, semi-desert earth, almost impossible to dig into. I see red sand and I feel the hot sun on my skin. I see plastic flowers stuck into empty coke bottles. I feel the biting wind. As you will notice, when tapping into the Memory Well our experiences are very vivid. If we practice consciously drawing from it often we will see how all our senses can be activated. There are manyexercises in The Three Wells Of Screenwriting that help you remain connected to these vivid experiences and help you insert them into your scripts. So now that you know about your Three Wells, the task is to consciously draw from all of them while you write. Very often if we just tap from our External Sources Well, we will write scenes that are generic and we won’t find our unique voice. This is true unless you have filled your External Sources Well with truly unique films. It’s true in some ways for Quentin Tarantino. If you draw more from your Imagination Well and keep cultivating your imagination you may write amazingly fantasized worlds. You may come up with ideas like the Wachowski siblings or the Nolan brothers do. But these ideas can sometimes feel less emotionally connected to the reader. If you draw more from the Memory Well you might write films like Paul Schrader or you could end up with a hit like Lady Bird. But sometimes these films can also feel self-indulgent. The trick is, ideally, to draw from all Three Wells all the time. And to adjust which well you are drawing from depending on the kind of film you are writing. What you will notice is that I am not talking about re-writing. I’m not referring to the craft of scene structure, plot or character arcs. I am asking us to be brave artistic screenwriters and to tap into all Three Wells as you write. In this way, we have something authentic to re-write later. This doesn’t mean that if we have already written a film script that we can’t use the Three Wells concept to make our scenes stronger. There are exercises and techniques described in The Three Wells Of Screenwriting that will help you do just that. For now, you have a powerful tool. I like to call it “Zen Screenwriting”. You have the power to pause. Just stop a moment when writing and be brave. Look into your life. Draw from all your wells of creativity and bravely write whatever resonates with you. If we do that, it can’t but help leap off the page and the script readers will recognize our authentic voices. If it moved us, it will move others. And our scripts might stand out from the piles and piles of movie scripts clogging up Hollywood Studio offices.